BioWare Teases Roster For Mass Effect: Andromeda Multiplayer | Nerd Much? In the second tweet, Melo says that despite the lack of MPTT, Andromeda’s multiplayer “has had the most [extensive] user testing we’ve ever done. +GameChangers program. And retail console closed alpha earlier in new year.” The third tweet is where things get a bit more interesting, as Melo mentions that Andromeda’s MP will be available to play at PAX East and will still be part of the EA/Origin Access before launch. The fourth tweet is a sweet send off from Melo and an exciting screen shot from the multiplayer option menu. 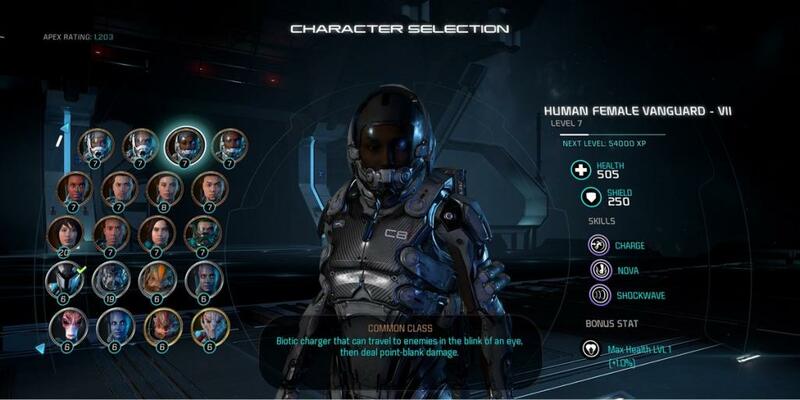 It’s quite clear that you can choose amongst all kinds of characters, including two Krogans, two Asari, a Turian, and a Salarian. This matches up fairly well with Mass Effect 3‘s multiplayer, so this is a strong hint that Andromeda’s MP might be as good as BioWare has been teasing. If you’re not counting the days like I am, keep in mind that Mass Effect: Andromeda will launch March 21st, 2017 for North America, and the 23rd for everywhere else. What do you think of this new tease from BioWare? Let us know in the comments below!